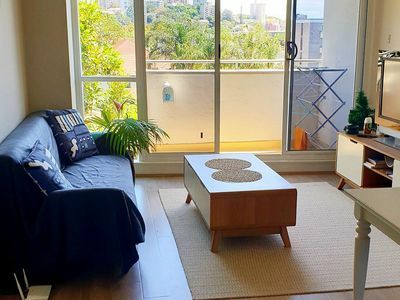 Stayz gives you a great variety of accommodation options for your stay in Double Bay Sydney, including self service apartments, houses and more. 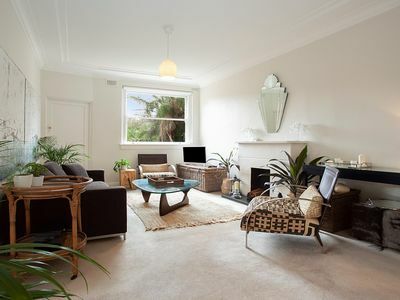 Many properties in Double Bay offer great discount accommodation packages to ensure that you enjoy your perfect holiday! 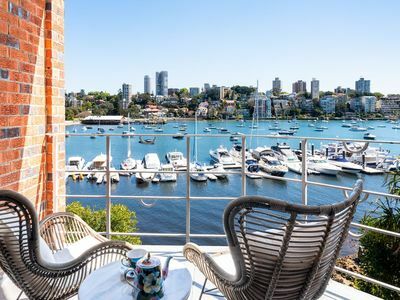 The chic suburb of Double Bay is an enclave of beachfront mansions and harbourside restaurants, with some of the best views of Sydney’s icons just across the water. 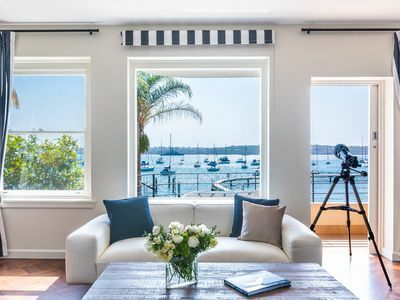 Holidays in Double Bay involve shopping at designer boutiques, practicing your swing at one of the country’s most exclusive golf clubs and lounging on the quiet sands of Redleaf Beach. If you’re yearning for offshore adventures, hire a sailboat for the day, and venture off to discover the uninhabited islands just beyond the shore. 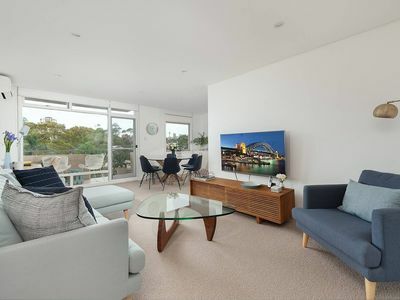 Sydney’s Opera House and Darling Harbour are only a few kilometres away. 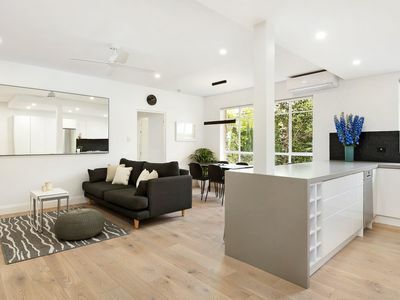 When it comes to holiday properties, travellers to Double Bay can rent modern penthouses, sun-soaked villas and spacious family homes. 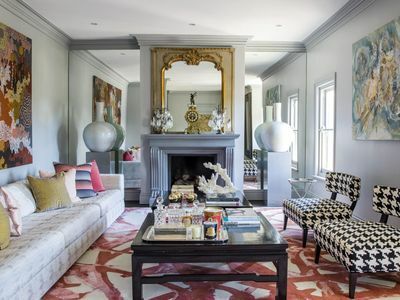 High end boutiques line the streets of Double Bay, showcasing collections by local designers and international household names. Pick up unique finds, or purchase pieces fresh off the runway. 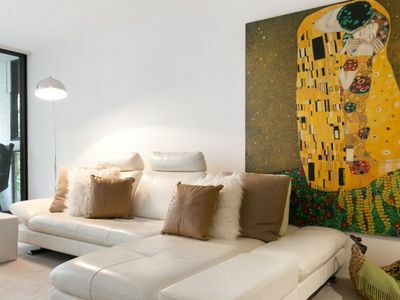 Art aficionados, meanwhile, can find inspiration in Double Bay’s galleries. When you’re ready for a break, stop at a sidewalk cafe and sip a latte amongst the sophisticated locals. In the evenings, unwind at a wine bar or make reservations at a waterfront restaurant. Double Bay is considered one of the best places to eat in Sydney, with over 50 restaurants listed in the Australian Good Food Guide. 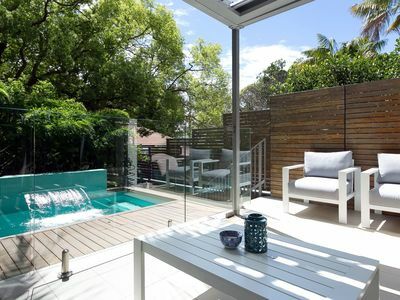 One afternoon, simply wander the leafy streets of Double Bay to get a closer look at the stylish villas and homes. 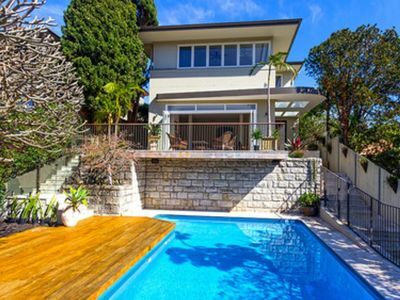 Just a few kilometres off the shore, Clark Island is easily accessible from Double Bay. 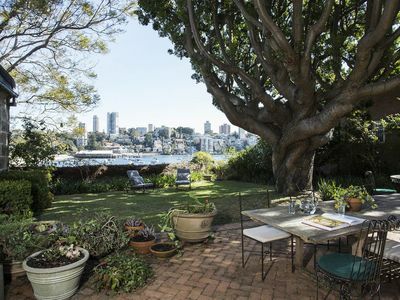 The tiny island in Sydney Harbour has a series of walking tracks and is a popular spot for picnicking. Enjoy your lunch as you take in the Opera House and Harbour Bridge across the water. To find out more, join one of the cultural tours of the island. Back on dry land, Lyne Park has tennis and basketball courts which are available for public use. There is a playground on site for the kids, and a cafe where the adults can relax after a game. 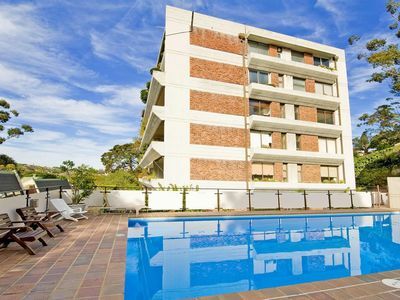 A short distance away is the Sydney Golf Club, an exclusive golfing destination which also boasts tennis courts, a bowling green and fitness centre. Mansions border the soft sands of Redleaf Beach, which is where locals go to splash about in hot weather. 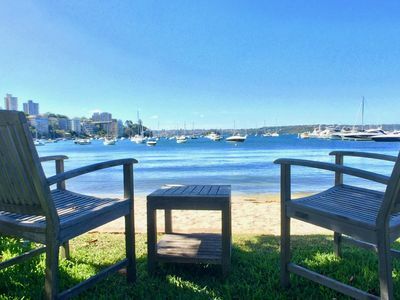 Calm waters ensure that Double Bay’s main beach is ideal for swimming. At one end, an ocean pool has an enclosed swimming area, as well as a pontoon, which the kids love to climb on and jump off. The beach is just a short stroll from cafes and restaurants; have a coffee or meal as you look over at Harbour Bridge. 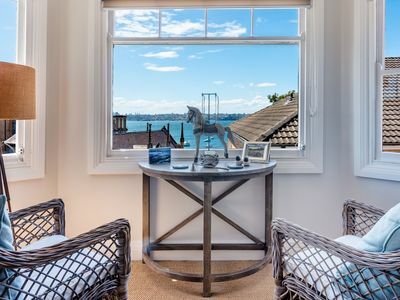 To stretch your legs, go along the boardwalk along the Double Bay waterfront. 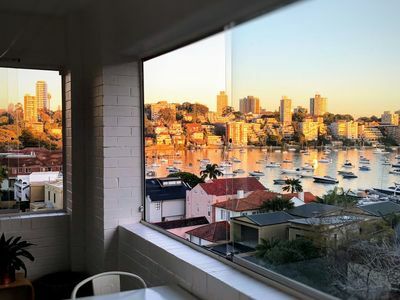 For a different perspective of the waterfront, hire a sailboat and explore Sydney Harbour, or go for a seaplane ride to take in the vistas from above. Every Thursday, Double Bay’s Guilfoyle Park plays host to an organic farmer's market. 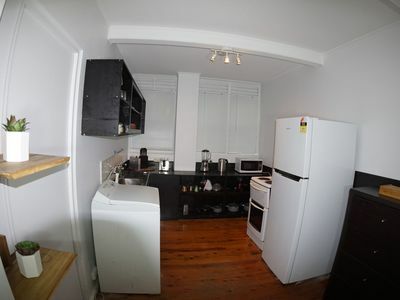 The park is conveniently set close to the suburb’s main shopping streets. Pick up all the organic produce you desire or stop at the arts & crafts stalls to purchase souvenirs made by local artisans. The tidy stands show off potted plants, freshly squeezed orange juice and cruelty free cosmetics, among many other offerings. If you’re hungry, you can also stop at one of the food stands for a meal made of vegan or organic ingredients. 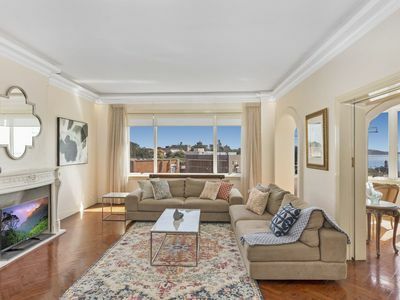 In November, the neighborhood is bustling with visitors as the Double Bay Street Festival unfolds, providing activities for the whole family. On top of 300 market stalls, visitors have access to live music and entertainment, luxury car shows, camel rides and a pop up theme park. 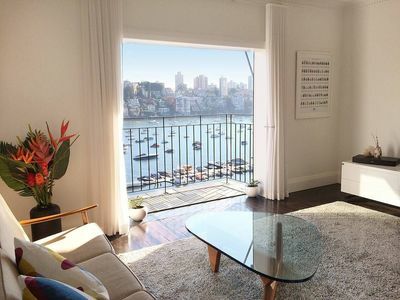 Double Bay is just a 5-minute train ride from Sydney’s CBD. You could also reach the suburb by ferry, which takes roughly 15 minutes. If you’re arriving from further afield, fly into the Sydney International Airport, and drive to your final destination in under 15 minutes.